I am so grateful for you, friend. I love elephants and created this piece for a very dear friend who also loves elephants. They are symbols of wisdom, strength, courage, power and success. They are known to be highly intelligent, empathic and loyal animals with complex relationships among herd members. 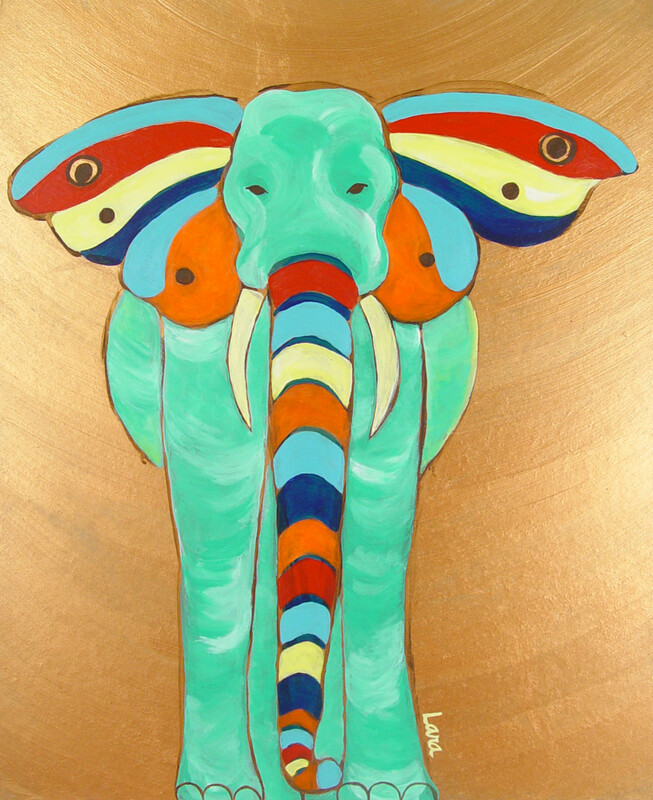 I think of elephants as my friends, and I painted this one in a whimsical rainbow of colors.